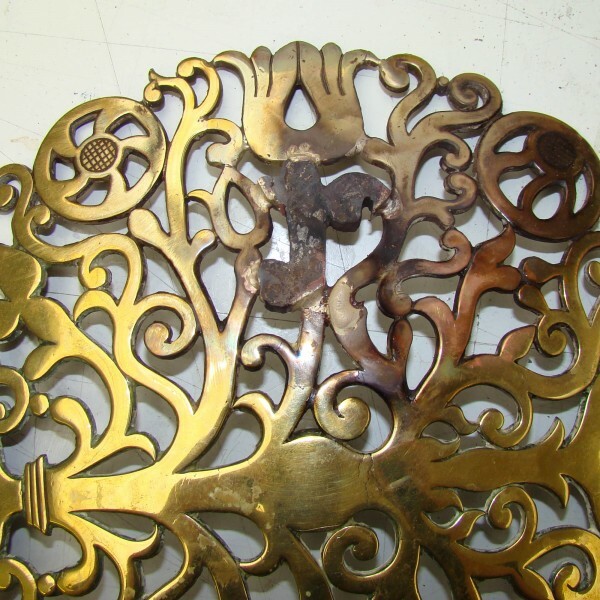 This brass firedog boss had been damaged resulting in the loss of a small section of decoration. 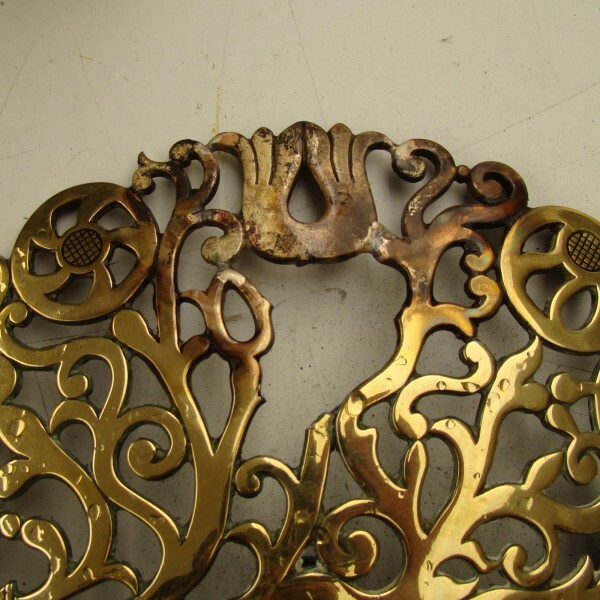 The broken section remaining was reattached leaving a section to be remade. 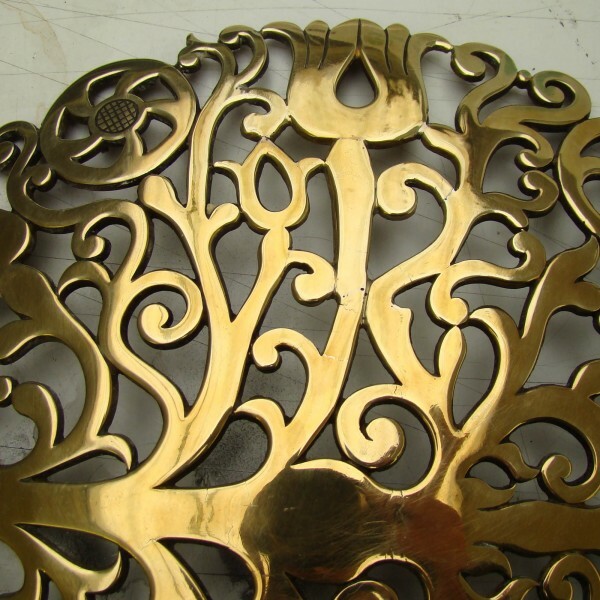 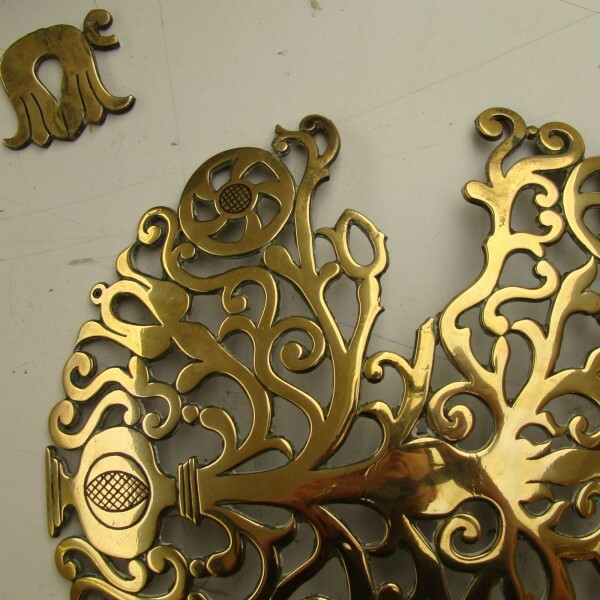 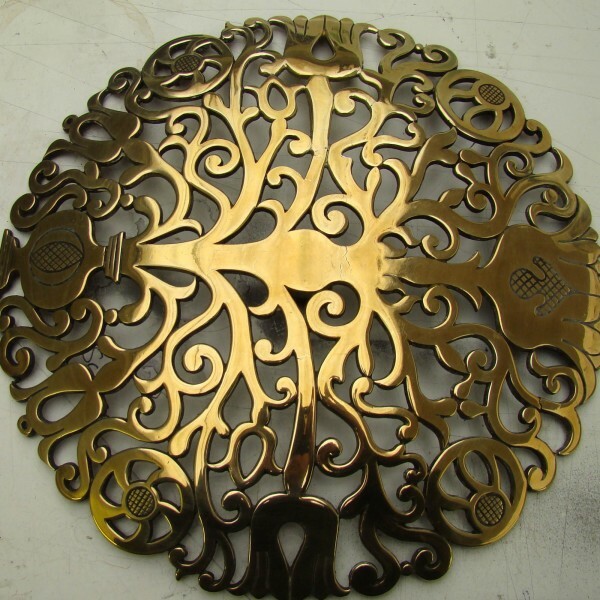 The pattern was drawn up and a replacement made in brass which was soldered into position. 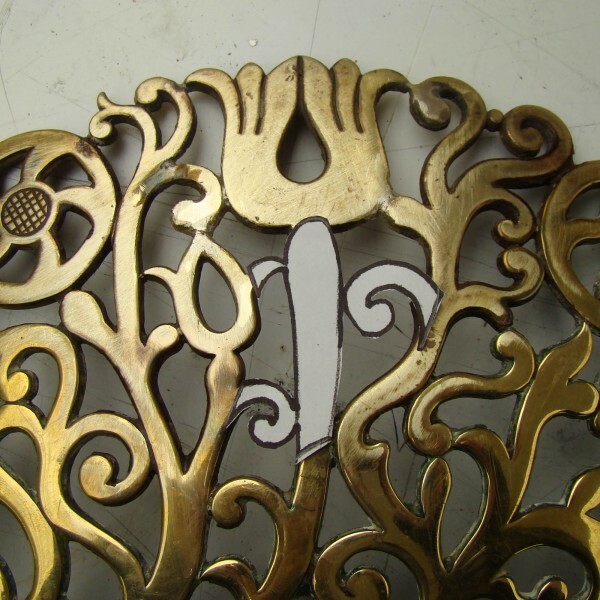 Excess metal was filed and shaped back and the repaired area polished. 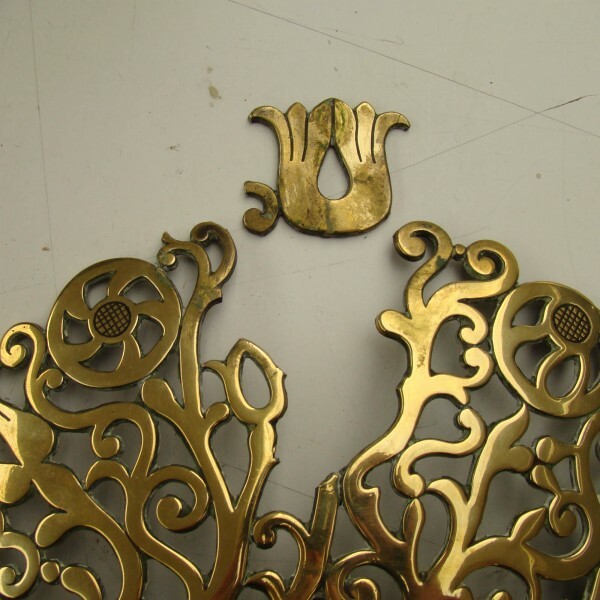 The resulting joins could be seen only under close inspection so as to be apparent for any future assessment.